The Ready-to-Drink (RTDs) segment of the alcoholic beverage industry is experiencing unprecedented growth, more so than beer, that the big brewers in the country have all staked their claim. The segment is awash with many players, both domestic and foreign as they vie for market share. A trip to any of the big supermarkets or open markets, where drinks are sold reveals how much this segment is thriving. RTDs, also known as alcopops are packaged beverages that are ready for consumption as against drinks that require preparation like tea or spirits. RTDs are a mix of fruits such as apple flavour or real apples, citrus, lemon, combined with spirits, like vodka, rum, etc. According to Euromonitor, a market research company, Cider RTDs didn’t start appearing in the Nigerian market until 2012 when Distell Group, a South African company introduced its Hunter cider and Savannah cider to the Nigerian market. However Guinness Nigeria started marketing Smirnoff Ice in the country in 2006. RTDs are doing well for a number of reasons, foremost of which is that they are easier to drink and therefore appeal to a large demography of young men and women, a group that are just being introduced to alcohol. It could be argued that RTDs is an extension of carbonated soft drinks consumers have grown to love, albeit with a spike of spirits. So it is no wonder they appeal to young adults. The big brewers have seen a shift in alcoholic beverage preference among young adults (24 – 35 year olds), with many consuming more spirits (gin, whiskey, brandy, etc) and less beer, thereby eroding the brewers’ market hold on this important demography. So introducing RTDs makes sense as brewers attempt to keep this group from leaving forever. These drinks are also packaged in trendy designed 330ml – 375ml bottles. No wonder they make an ideal party drink. Even with the mid-strength alcohol content (5% – 6%), they are still a party favourite and drink of choice for many young adults. It is no wonder that the big brewers have all taken notice and launched their own brands. Nigerian Breweries, the foremost brewer in the country has a roster of drinks in this segment, more so than beers that are its mainstay. Just between 2014 and 2015, the company rolled out over five brands and variants in this category. The company launched the Ace series beginning in late 2014 with Ace Passion Apple Spark, a drink that is targeted at women. 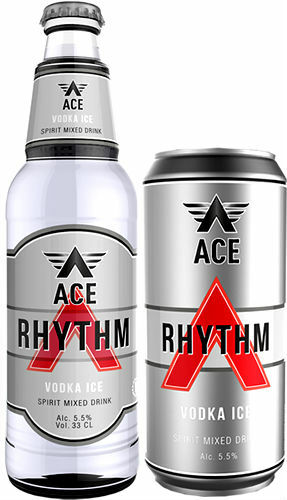 It then launched Ace Roots in 2015 to rival Orijin from Guinness Nigeria; this was followed by Ace Rhythm. It also launched Star Radler, which is a variant of their iconic Star brand blended with citrus fruit flavour. And then there was Breezer, which is a mix of Bacardi and fruit flavoured blends in variants of orange, pineapple and watermelon. The most recent unveiling by the company in late 2015 was Strongbow Apple cider, which the company has been marketing aggressively and says it contains real apple, not flavoured apple as some of their competitors have. Guinness Nigeria has also been very active in this segment, with a long list of brands and variants to boot, starting with Smirnoff ice in 2006, a mix of vodka and fruit flavour; Snap Apple flavoured drink followed in 2012, targeting women. And then, there was ‘Orijin’, launched in 2013, which is a bitter-sweet blend of gin, herbal and fruit flavours. Orijin took the market by storm and has been hugely successful for Guinness. According to data tracker, Nielsen Nigeria, ‘Orijin’ has captured more than 50 percent of the market for non-beer bottled drinks (ready-to-drink) with similar alcohol strength. Smirnoff Ice Double Black with Guarana came in mid-2015, which is a blend of Smirnoff Vodka with soda and extracts of Guarana. Other strong participants in this category include Czar Ice, Czar Vodka, both from Euro Global Foods and Distilleries, a subsidiary of Sona Group Nigeria; Redd’s vodka lemon from International Breweries, a SABMiller company. There are also imported brands such as Stowford Press Real Cider, from Westons, which is of British origin; Savanna Premium ciders, Hunter Dry and Hunter Gold, all from Distell Group, a South African company; VS Lemon, VS Blue, among others. The emergence of RTDs and the strong competition in the segment is certainly a win-win for the industry and consumers. Will RTDs be the saviour of the breweries? Only time will tell.